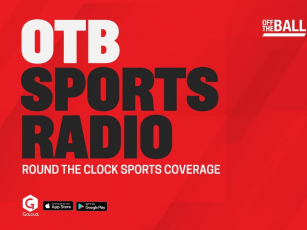 Welcome to Kieran Donaghy's Shot Clock - a brand new weekly feature on OTB AM which sees the Kerry legend go head-to-head with an Off The Ball presenter. These ultra competitive debates will see each side fight their corner on a range of hot topics from across the world of sport, with a two-minute timer ensuring they get to the point. There will be rapid-fire predictions and the mailbox too (email: [email protected]) where our viewers get to challenge Donaghy with their thoughts. If your argument stands out we might even throw you on air! In light of the reprehensible remarks that followed the publication of an AFL star Tayla Harris, Kieran spoke passionately about the need to quell such behaviour. With Dublin enduring a relatively poor start to the year, Kieran doubled-down on his assertion that Jim Gavin should be doing all he can to get Diarmuid Connolly and Rory O'Carroll back into the senior panel. "Two guys who should be in this team aren't," stated Donaghy. "For me, Rory O'Carroll is right now the guy I'd be looking to get in. "He's an outstanding full-back and he'd really help them back there. Despite the protestations from some of his former teammates, Kieran sees the value in working with the three-man-weave. "The first @CorofinGAA goal was almost like a three-man-weave, even if @pgal10 & @aomfitness1 don't like the drill..."
After predicting Rory McIlroy's success at The Players Championship last weekend, Kieran has laid out his sporting predictions for the week ahead. With Ireland travelling to Gibraltar for their opening European qualifier, Kieran Donaghy is expecting a big win for Mick McCarthy's side. Meanwhile, Tyrone got the nod against Galway. If you want to share any ideas or comments for Kieran Donaghy's Shot Clock or you disagree with our main man on anything at all, get in touch on [email protected].